We actually do know what became of the falling dachshund. 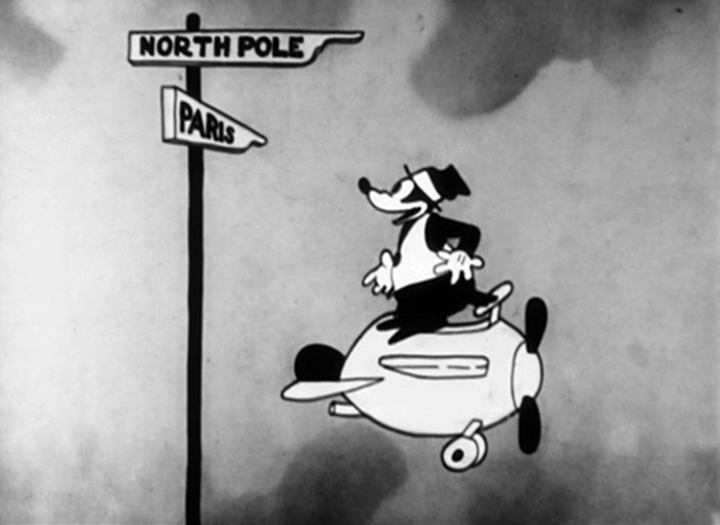 While Oswald landed among the French politicians, Wienie—in the original end gag—fell into the open hood of their limousine, was ground through the motor, and emerged through the tailpipe as a string of sausages. Alas, the gag was cut from the 1932 reissue print that is usually seen today; and the only surviving 1920s element has the scene manually cut out. Thanks David, for helping me out once again!